The subnational divisions, also referred to as regions[? 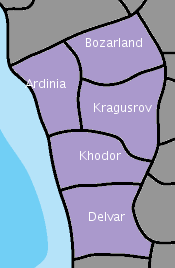 ], of the Commonwealth of Rutania are each referred to as a State. May 4113 RP: The Current Constitution (Moderation: Not to be deleted until changes are requested). December 4538 What do you think of this treaty?